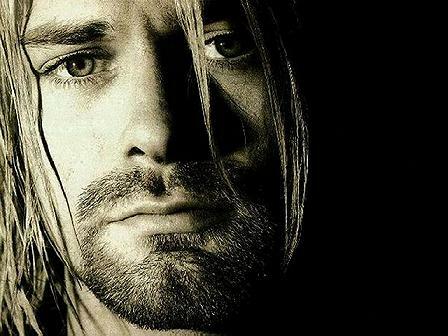 Kurt Donald Cobain (February 20, 1967 – April 5, 1994) was an American musician and artist, best known as the lead singer, guitarist and primary songwriter of the grunge band Nirvana. Cobain formed Nirvana with Krist Novoselic in Aberdeen, Washington in 1985 and established it as part of the Seattle music scene, having its debut album Bleach released on the independent record label Sub Pop in 1989. Nirvana was an American rock band that was formed by singer/guitarist Kurt Cobain and bassist Krist Novoselic in Aberdeen, Washington in 1987. Nirvana went through a succession of drummers, the longest-lasting being Dave Grohl, who joined the band in 1990. In the late 1980s Nirvana established itself as part of the Seattle grunge scene, releasing its first album Bleach for the independent record label Sub Pop in 1989. The band eventually came to develop a sound that relied on dynamic contrasts, often between quiet verses and loud, heavy choruses. After signing to major label DGC Records, Nirvana found unexpected success with “Smells Like Teen Spirit“, the first single from the band’s second album Nevermind (1991).